ROBOTS already cut the grass and vacuum rugs. Now they are helping with a more artistic job: creating vast photographic panoramas with ordinary cameras. Press Release: COPENHAGEN, Denmark — (Marketwire, July 14, 2008) — Phase One A/S today announced the P 65+ digital back and the P 65+ camera system based on Sensor+ CCD technology co-developed with DALSA Semiconductor. This patent-pending, Sensor+ technology represents a significant advancement in image capture. The chip platform offers the most demanding photographers upgradeable CCD functions, ensuring a longer lifespan for their digital back investments. With so many photographers using Macintosh computers, it was high time that someone should write a book that was specifically designed to help photographers understand better how the Macintosh OSX system works and how to troubleshoot some of the common problems photographers face. Mac OS X for Photographers is written by Rod Wynne-Powell a UK based author and an acknowledged Mac and Photoshop expert.According to Rod, the book covers Tiger and some of Leopard as it relates to Photographers. Solving Photoshop and related Mac hardware and software problems is a crucial and urgent need in a working environment when things can and do go wrong. Rod Wynne-Powell explains how the Mac operating system works and the pitfalls you are likely to fall into. Think of it as digital photography 2.0. In the last decade, photography has been transformed by one revolution, the near-total replacement of analog film cameras by digital image sensors. Now researchers and companies are starting to stretch their wings by taking advantage of what a computer can do with sensor data either within the camera or on a full-fledged PC. At dusk on New Year’s Eve, Erika Gunderson got into a taxi in New York City and entered a digital-age mystery. 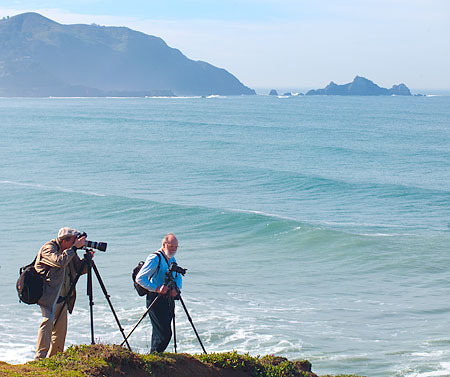 In digital photography, 2007 was a strong year for higher-end digital SLRs. Already, single-lens reflex cameras were disproportionately popular as photographers moved to models that responded quickly and worked better in dim conditions. The bulk and expense were worth it.